One of the most important attributes that an angler can possess is perserverance and with this species, boy have I had to persevere! 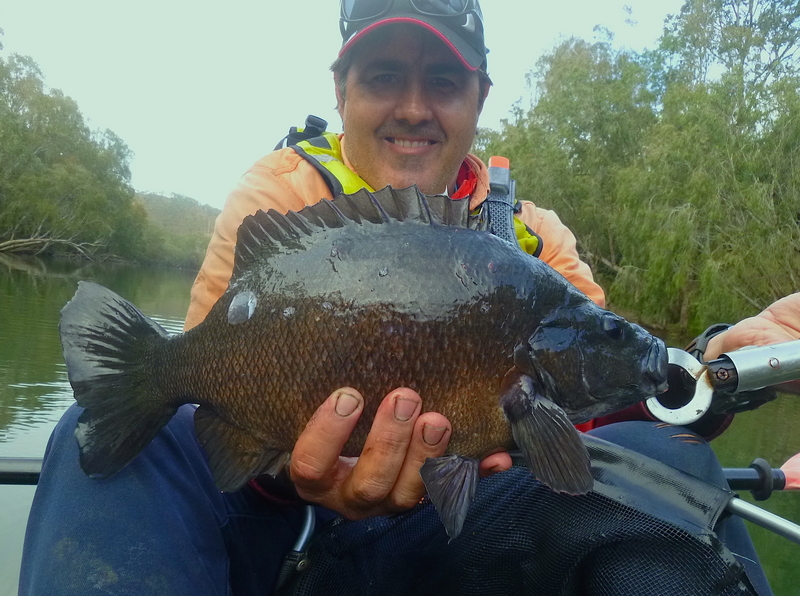 The many of miles paddling, walking and casting for hours on end for an opportunity to hold in my hands one of Australia’s ultimate prehistoric piscatorial beasts was at times a hard slog but also an incredible privilege. The fish I am referring to is the southern saratoga and for as long as I can remember it has been on my bucket list of fish to catch. A 4am start was required for this winter toga party west of Mackay, over the ranges, into the Fitzroy / Dawson river systems where the Saratoga are most plentiful. As this was a brand new location my mate Mark and I had decided to check it out one morning for a couple of hours. So with Mark walking the banks and me in the kayak we commenced our search for the elusive toga. Within the first 20 mins I had managed to land a respectable sooty grunter on a Megabass pop-X and even though it was great fun to catch it was not what I had come for. So moving further downstream, as the sun became a little brighter I came across some submerged timber, in the middle of the river, next to a deep hole. 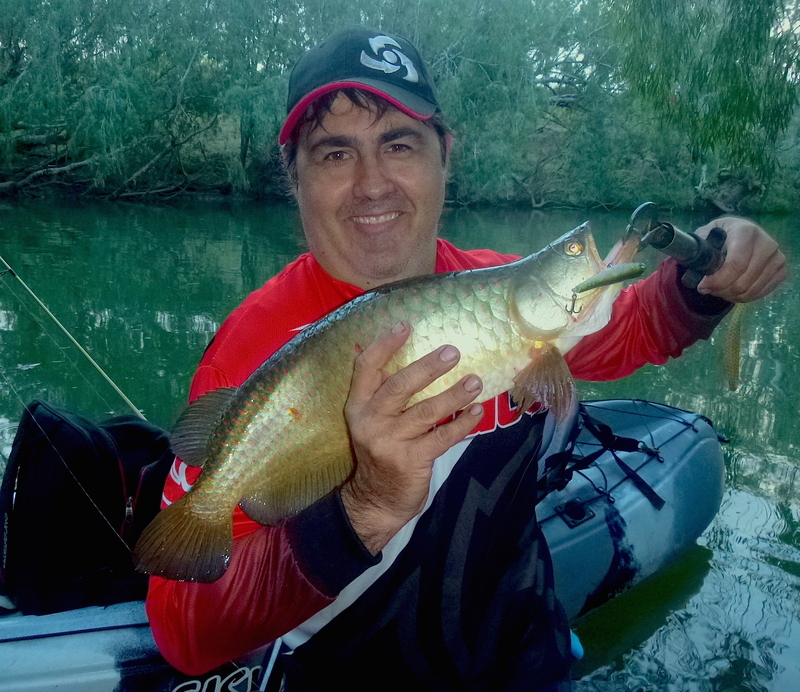 With the sun being higher I had swapped the popper for a Megabass Dog-X Jr and with a perfect cast right on top of that submerged tree ……. a couple of twitches …….. a pause …….then a good strike! I instantly knew this was a saratoga as half of its body came out of the water as soon as it nailed the lure. It took to the air once more during the fight and although this highlight of the trip was not captured on film, that spectacular moment will live with me for a very long time. 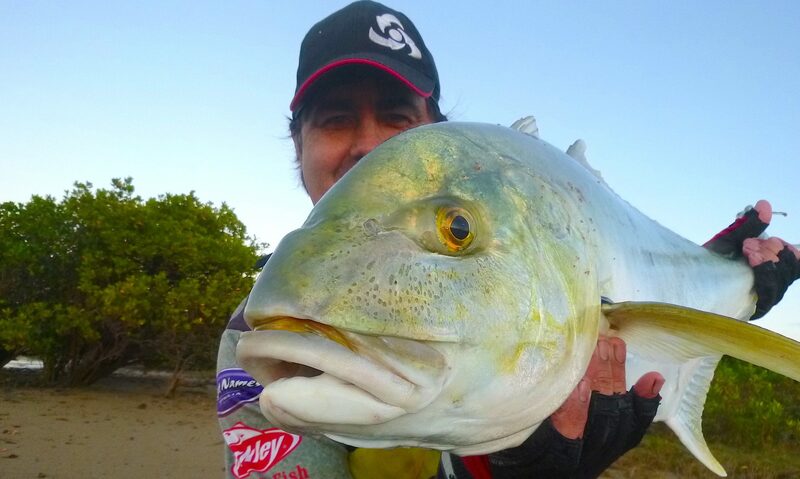 It was a great feeling landing a fish that I have been targeting for so long but an even greater moment was when this amazing creature swam off powerfully from my grasp. The next hour was spent casting at the myriad of fishable structure lining the banks with swirls and bumps every other cast. I was contemplating a lure change when the dog-X Jr was hit hard with a loud POP! as it was engulfed by a solid sooty. A tremendously hard fought battle ensued as he had got me around some timber at the start but eventually I had in the net a 41cm sooty, a good quality fish. 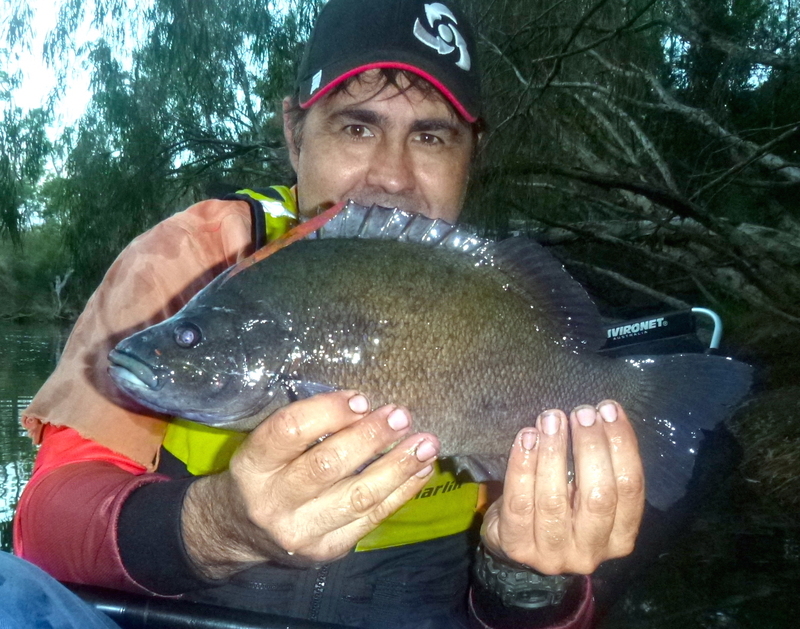 The saratoga has been one of those mythical type of fish for me as I did not target them when I was younger. They are beautifully ancient and in my opinion have a magical quality, I respect them and hope that all future anglers have the opportunity to witness first hand…… the magic of the saratoga.